Police and Firemen’s Insurance Association respects the privacy of our customers and are committed to protecting their information on our Web sites with the same care we utilize for our own transactions. Click stream auditing includes information such as a web surfer's IP address, web pages which have been viewed or acted upon by a web surfer, date and time, domain type, and when a web surfer has responded to an advertisement. 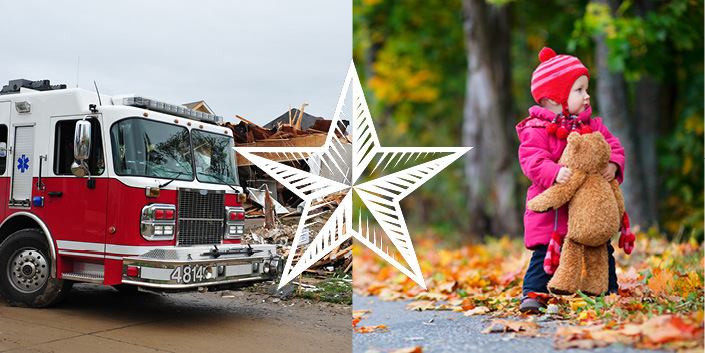 Police and Firemen’s Insurance Association may occasionally combine this information with individual information on an aggregate level to determine the effectiveness of our advertising. Police and Firemen’s Insurance Association is committed to treating and using personal financial information about you responsibly. These Privacy Principles explain what personal information we collect, why we collect it, how we protect personal information, and how and why in certain cases we may share such information with select other parties. These principles are effective 05/14/2014, and may be amended from time to time. Police and Firemen’s Insurance Association’s Electronic Bill Payment and Presentment Consumer Information Privacy Principles apply to personal information collected or used when you use our online bill payment system. We collect information from and about you in order to identify you as our customer, establish and manage customer accounts, complete customer transactions, and to comply with legal and regulatory requirements. Contact Information (such as name, address, e-mail address, and telephone number). We use contact information, for example, to identify you, send you information about our products and services, and to contact you about your accounts. Account Information (such as bank account numbers, bank routing numbers, and credit card numbers). We use the account information you provide us in order to complete your payment requests. Police and Firemen’s Insurance Association’s EBPP service utilizes advanced technology and information management techniques to implement security, audit and control programs designed to protect the confidentiality and security of the information we collect. Police and Firemen’s Insurance Association limits employee access to customer information provided on our EBPP site to those employees we believe have a legitimate business need for the information. It is our policy not to sell, rent or otherwise provide customer information collected on Police and Firemen’s Insurance Association’s EBPP site to outside companies so they can market their non-financial products or services. We may also disclose personally identifiable information to other financial service providers with which we have marketing agreements. Generally, we provide market researchers only with customer contact information, such as name, address, and telephone number. Under no circumstances, will Police and Firemen’s Insurance Association disclose bank account numbers, credit card numbers or access codes provided to us via our EBPP website to third parties for telemarketing or direct marketing purposes. Before we disclose customer information to any of our service providers or suppliers, we require them to agree to keep our customer information confidential and secure and to use it only as authorized by us. We do not disclose information about former customers to outside companies except as may be permitted or required by law. Some examples of when we may share information about former customers, such as when we receive a subpoena, are listed above. We will also comply with state privacy laws to the extent they apply. We respect the privacy of our customers and are committed to protecting their information on our websites with the same care we utilize for our own transactions. Welcome to the Police and Firemen’s Insurance Association web site (the "Web Site") and to Police and Firemen’s Insurance Association Online Services. Police and Firemen’s Insurance Association is willing to provide the Police and Firemen’s Insurance Association Online Services (the "Services") to you only upon your agreement that your access and use of the Services will be subject to the following Terms of Services ("TOS"). These TOS are an agreement between Police and Firemen’s Insurance Association ("Police and Firemen’s Insurance Association") and users of the Services ("you"). These terms may be revised without notice and become effective upon posting on this site and your use of the Web Site. These terms were last revised on 05/14/2014. “Payee Account” means the billing account with the merchant or other entity to which you authorize a bill payment to be directed. "Payment Instruction" means your instruction and authorization to Police and Firemen’s Insurance Association to make a bill payment to a Payee. "Payment Account" means the bank account that you authorize us to debit by electronic funds transfer when you make your bill payment using account information from your personal checking or savings account. "Payment Card" means the credit card or debit card that you instruct us to charge to pay your bill payment. "Scheduled Payment Date" means the Business Day of your choice upon which we will attempt to complete your bill payment and initiate the appropriate debit to your Payment Account or Payment Card. The Services provide users with access to various on-line resources, including applications that allow you to view your bill. Unless explicitly stated otherwise, any new features that augment or enhance the current Services, including the release of new Services, shall be subject to these TOS. Upon your acceptance of these TOS by clicking on the "I Accept" button below, Police and Firemen’s Insurance Association grants you a personal, nonexclusive, nontransferable, license to access and use the Services, subject to these TOS, solely for your internal purposes. The forgoing license includes the specific rights to use the available applications and functionalities of the Services and to print information from the Services. Police and Firemen’s Insurance Association does, however, reserve the rights to, without notice: (a) modify, suspend or terminate operation of or access to the Services at any time for any reason; (b) modify or change the Services or its applicable operating policies at any time; and (c) interrupt the Services as necessary to perform routine and non-routine maintenance, error corrections, or other changes. Police and Firemen’s Insurance Association also reserves the right to modify these TOS at any time, in which case you will be provided notice that the TOS have been changed. Your continued use of the Services after your notification of the changed TOS constitutes your agreement to the changed TOS. When you initiate a Payment Instruction, you authorize Police and Firemen’s Insurance Association to charge your Payment Card or debit your Payment Account and remit funds to Police and Firemen’s Insurance Association on your behalf so that the funds arrive as close to the Business Day designated by you as is reasonably possible. While it is anticipated that most transactions will be processed on the day you choose, it is understood that due to circumstances beyond the control of Police and Firemen’s Insurance Association, some transactions may take a day or so longer to be credited to your Account. If we are unable to obtain funds for a bill payment for any reason associated with your Payment Card or Payment Account (for example, there is not a sufficient balance available on your Payment Card or in your Payment Account to cover the transaction), then we will not be able to complete your bill payment transaction. If there is a problem in processing your Payment Instruction, Police and Firemen’s Insurance Association may attempt to contact you, using the telephone number you have provided. If Police and Firemen’s Insurance Association makes a bill payment to your Account but is unable to obtain funds for that payment from your Payment Card or Payment Account, you agree that your bill payment will be reversed. Circumstances over which Police and Firemen’s Insurance Association has no control including, but not limited to large-scale technical malfunctions, including, but not limited to loss of access to the Internet or loss of access to the Federal Reserve System, prolonged outages of phone lines, electricity or similar infrastructure, acts of God, war, riot, civil disobedience or similar events of insurrection, governmental or court orders, regulatory or legislative changes by any local, state or federal governmental agency, strikes, work stoppages, or other similar occurrences or circumstances. During the registration process for the Services, a User Name and Password (collectively, "Authentication Materials") will be established for your use in accessing the Services. The Authentication Materials are intended for your use only. You agree: (a) not to disclose such Authentication Materials to any third party, (b) to take reasonable care to protect such Authentication Materials from inadvertent disclosure to third parties, and (c) to immediately notify Police and Firemen’s Insurance Association of any loss or unauthorized use of such Authentication Materials. You agree that you will be responsible all actions taken using your Authentication Materials. (g) Police and Firemen’s Insurance Association may send you electronic correspondence describing changes to the Services and these TOS. While we exercise reasonable efforts to ensure the accuracy of information on our Web Site and accessible through the Services, you acknowledge and agree that your use of the Web Site or Services, and your reliance upon any data or information accessed using the Web Site or Services, is at your own risk. You agree to make and rely on your own independent investigation of the completeness, accuracy and suitability of any information, data, or analytical product available on the Web Site or Services before reliance thereon. YOU ACKNOWLEDGE AND AGREE THAT THE SERVICES AND THE POLICE AND FIREMEN’S INSURANCE ASSOCIATION WEB SITE ARE PROVIDED ON AN "AS IS" AND "AS AVAILABLE" BASIS AND THAT USE OF THE SERVICES OR THE WEB SITE IS AT YOUR SOLE RISK. POLICE AND FIREMEN’S INSURANCE ASSOCIATION MAKES NO WARRANTY WHATSOEVER ABOUT THE SERVICES, ITS WEB SITE, THE OPERATION OR AVAILABILITY OF EITHER, THE ACCURACY OF INFORMATION PROVIDED ON OR THROUGH THE SERVICES OR WEB SITE, OR THE SECURITY OF THE SERVICES OR WEB SITE. MOREOVER, POLICE AND FIREMEN’S INSURANCE ASSOCIATION EXPRESSLY DISCLAIMS ALL WARRANTIES OF ANY KIND REGARDING THE WEB SITE AND THE SERVICES, WHETHER EXPRESS OR IMPLIED, INCLUDING, BUT NOT LIMITED TO THE IMPLIED WARRANTIES OF MERCHANTABILITY, FITNESS FOR A PARTICULAR PURPOSE AND NON-INFRINGEMENT. POLICE AND FIREMEN’S INSURANCE ASSOCIATION MAKES NO WARRANTY THAT (A) THE WEB SITE OR SERVICES WILL MEET YOUR REQUIREMENTS, (B) ACCESS TO THE WEB SITE OR SERVICES WILL BE UNINTERRUPTED, TIMELY, SECURE, OR ERROR-FREE, (C) TRANSMISSION OF DATA TO AND FROM THE WEB SITE OR SERVICES WILL BE TIMELY OR ERROR-FREE, OR (D) THE RESULTS THAT MAY BE OBTAINED FROM THE USE OF THE WEB SITE OR SERVICES WILL BE ACCURATE OR RELIABLE. YOU AGREE THAT NEITHER POLICE AND FIREMEN’S INSURANCE ASSOCIATION NOR ITS AFFILIATES ENDORSE OR ARE RESPONSIBLE FOR THE ACCURACY OR RELIABILITY OF ANY INFORMATION, OPINION, ADVICE OR STATEMENT ON THE SERVICES OR THIS WEB SITE. 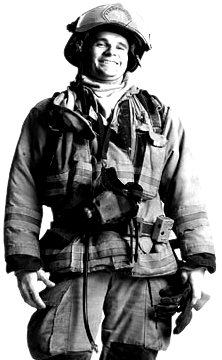 YOU EXPRESSLY UNDERSTAND AND AGREE THAT POLICE AND FIREMEN’S INSURANCE ASSOCIATION SHALL NOT BE LIABLE FOR ANY DIRECT, INDIRECT, INCIDENTAL, SPECIAL, CONSEQUENTIAL OR EXEMPLARY DAMAGES, INCLUDING BUT NOT LIMITED TO, DAMAGES FOR LOSS OF PROFITS, GOODWILL, USE, DATA OR OTHER INTANGIBLE LOSSES (EVEN IF POLICE AND FIREMEN’S INSURANCE ASSOCIATION HAS BEEN ADVISED OF THE POSSIBILITY OF SUCH DAMAGES) RESULTING FROM: (A) THE USE OR THE INABILITY TO USE THE WEB SITE OR SERVICES; (B) THE COST OF PROCUREMENT OF SUBSTITUTE GOODS AND SERVICES RESULTING FROM ANY DATA, INFORMATION OR SERVICES OBTAINED OR MESSAGES RECEIVED OR TRANSACTIONS ENTERED INTO THROUGH OR FROM THE WEB SITE OR SERVICES; (C) UNAUTHORIZED ACCESS TO OR ALTERATION OF YOUR TRANSMISSIONS OR DATA; (D) STATEMENTS OR CONDUCT OF ANY THIRD PARTY ON THE WEB SITE OR SERVICES; OR (E) ANY OTHER MATTER RELATING TO THE WEB SITE OR SERVICES. SOME JURISDICTIONS DO NOT ALLOW THE EXCLUSION OF CERTAIN WARRANTIES OR THE LIMITATION OR EXCLUSION OF LIABILITY FOR INCIDENTAL OR CONSEQUENTIAL DAMAGES. ACCORDINGLY, SOME OF THE ABOVE LIMITATIONS OF THIS SECTION MAY NOT APPLY TO YOU. In the absence of any of the exclusions set forth above, it shall be Police and Firemen’s Insurance Association responsibility to correct any transactions not completed in accordance with your Payment Instructions. In the event that Police and Firemen’s Insurance Association is unable to correct the transaction, we shall refund the amount of funds received from you and this refund shall constitute your sole remedy. In no event shall Police and Firemen’s Insurance Association liability to you ever exceed the amount of funds that we receive from your Payment Account or Payment Card for a bill payment. THE FOREGOING SHALL CONSTITUTE POLICE AND FIREMEN’S INSURANCE ASSOCIATION ENTIRE LIABILITY AND YOUR EXCLUSIVE REMEDY. IN NO EVENT SHALL POLICE AND FIREMEN’S INSURANCE ASSOCIATION BE LIABLE FOR ANY OTHER LOSS, INJURY, OR DAMAGES, WHETHER DIRECT, INDIRECT, SPECIAL, INCIDENTAL, CONSEQUENTIAL, OR EXEMPLARY, INCLUDING LOST PROFITS (EVEN IF ADVISED OF THE POSSIBILITY THEREOF) ARISING IN ANY WAY OUT OF YOUR USE OF THE BILL PAYMENT SERVICE. EXCEPT AS OTHERWISE EXPLICITLY SET FORTH HEREIN, WE SPECIFICALLY DISCLAIM AND YOU UNDERSTAND THAT WE MAKE NO WARRANTIES OR REPRESENTATIONS OF ANY KIND, EXPRESSED OR IMPLIED AND THE SAME ARE HEREBY EXCLUDED FROM THESE TERMS AND CONDITIONS AND ALL TRANSACTIONS CONTEMPLATED HEREBY. You agree to indemnify, defend and hold Police and Firemen’s Insurance Association, and its subsidiaries, affiliates, officers, members, agents or other partners, and employees, harmless from any claim or demand, including reasonable attorneys' fees, made by any third party due to or arising out of information you submit, post to or transmit through the Services, your use of the Services, your connection to the Services, your violation of these TOS, or your violation of any rights of another. Comments, suggestions and questions about the Web Site or Services are welcomed. Police and Firemen’s Insurance Association does not, however, desire that you send, post or upload any information that is confidential or proprietary to you or to any other person or company. 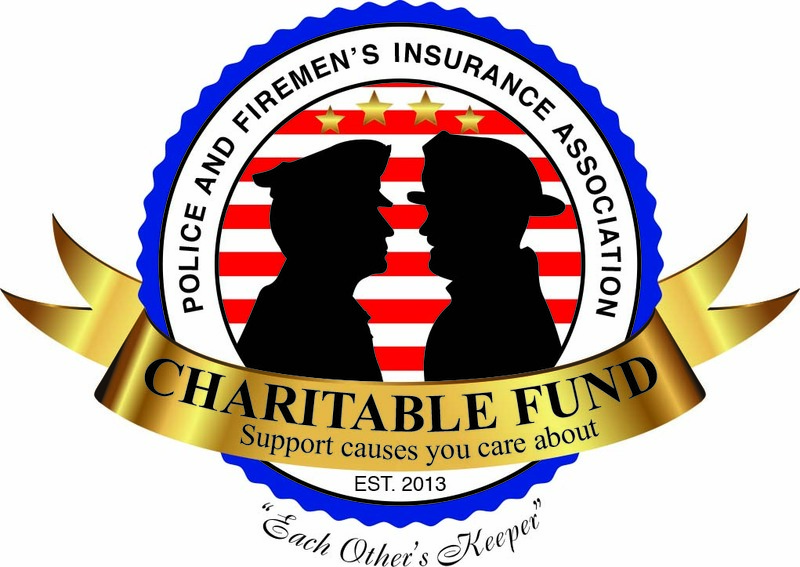 By submitting comments, messages, suggestions, ideas, concepts or other information (collectively, "Materials") to Police and Firemen’s Insurance Association, you thereby (a) represent and warrant that such information is not confidential or proprietary to your or to any other person and (b) grant Police and Firemen’s Insurance Association and its affiliates an irrevocable, perpetual, royalty-free, non-exclusive, unrestricted, worldwide license to: use, copy, publish, transmit, perform and display the Materials for any purpose; create derivative works from such Materials; and implement and use the Materials and any suggestions, concepts or ideas contained therein without compensation to you. Furthermore, you agree that Police and Firemen’s Insurance Association is not responsible for the confidentiality of the Materials that you send through the Web Site or the Services. As a service to you and for your convenience, the Web Site and Services may include many links to web site operated by third parties. By providing links to third party web sites, Police and Firemen’s Insurance Association is not endorsing or sponsoring such third parties or their web sites. You agree that Police and Firemen’s Insurance Association is not responsible for the availability of or content on any web sites operated by third parties that may be accessible through the Services or linked to this Web Site. All materials available through the Web Site or Services, including, but not limited to, text, images, illustrations, audio clips, video clips and other data, are protected by copyrights which are owned or licensed by Police and Firemen’s Insurance Association. Except for the limited license granted above, you may not reproduce, perform, create derivative works from, republish, transmit, or distribute in any way whatsoever any materials from the Web Site or Services, or any other web site owned or operated by Police and Firemen’s Insurance Association, without the prior written permission of Police and Firemen’s Insurance Association. Police and Firemen’s Insurance Association reserves the right at any time to modify or discontinue, temporarily or permanently, the Web Site or Services (or any part thereof) with or without notice. You agree that Police and Firemen’s Insurance Association shall not be liable to you or to any third party for any modification, suspension or discontinuance of the Web Site or Services. You agree that Police and Firemen’s Insurance Association, in its sole discretion, may terminate your password, account (or any part thereof) or use of the Services, and remove and discard any content within the Services, for any reason, including, without limitation, for lack of use or if Police and Firemen’s Insurance Association believes that you have violated or acted inconsistently with the letter or spirit of these TOS. You agree that any termination of your access to the Services under any provision of this TOS may be effected without prior notice, and acknowledge and agree that Police and Firemen’s Insurance Association may immediately deactivate or delete your account and all related information and files in your account and/or bar any further access to such files or the Services. Further, you agree that Police and Firemen’s Insurance Association shall not be liable to you or any third party for any termination of your access to the Services. Use of the Web Site or Services and these TOS shall be governed by and construed in accordance with the laws of the Indiana, without regard to the choice of law provisions thereof. Any dispute or claim relating to or arising out of or in connection with use of the Web Site, Services or these TOS shall be finally settled by binding arbitration in Carmel, Indiana using the then current rules and procedures of the American Arbitration Association by one (1) arbitrator appointed by the American Arbitration Association. The arbitrator shall apply the law of the Indiana, without reference to rules of conflict of law or statutory rules of arbitration, to the merits of any dispute or claim. Judgment on the award rendered by the arbitrator may be entered in any court of competent jurisdiction. The parties agree that, any provision of applicable law notwithstanding, they will not request, and the arbitrator shall have no authority to award punitive or exemplary damages against any party. These TOS and any agreements governing use of specific portions of the Services constitute the entire understanding between you and Police and Firemen’s Insurance Association with respect to the Services and your use thereof, superseding all prior written and oral communications and understandings. If any provision or portion of these TOS is not given legal effect by a court of competent jurisdiction, such provision or portion shall drop out of the TOS and the remaining provisions and portions of the TOS shall be construed and enforced. These TOS shall not be interpreted or construed to confer any rights or remedies upon any third parties.